Our handsomely appointed upstairs dining room is the perfect setting for your next corporate meeting, family celebration, or any special occasion. 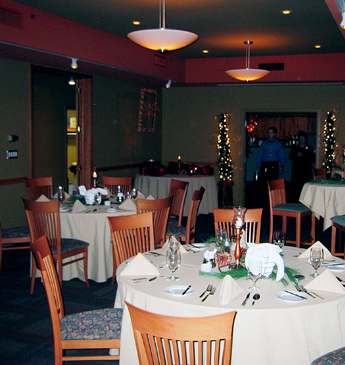 We can accommodate 20-50 guests for private dining and up to 100 for cocktails and hors d'oeuvres. Both afternoons and evenings are available. Add a bit of elegance to your next affair.